From the top: 1. 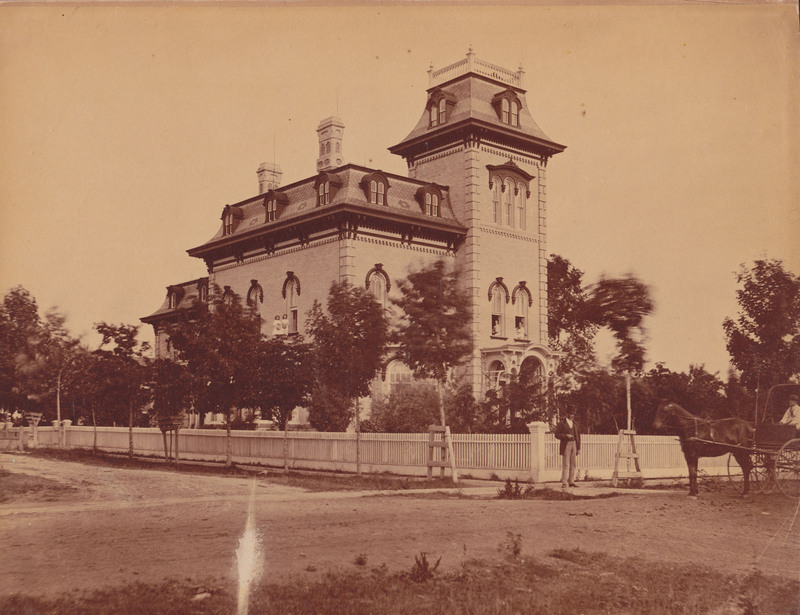 Nathan Ball Bradley’s Bay City, Michigan home which later became Mercy Hospital. 2. 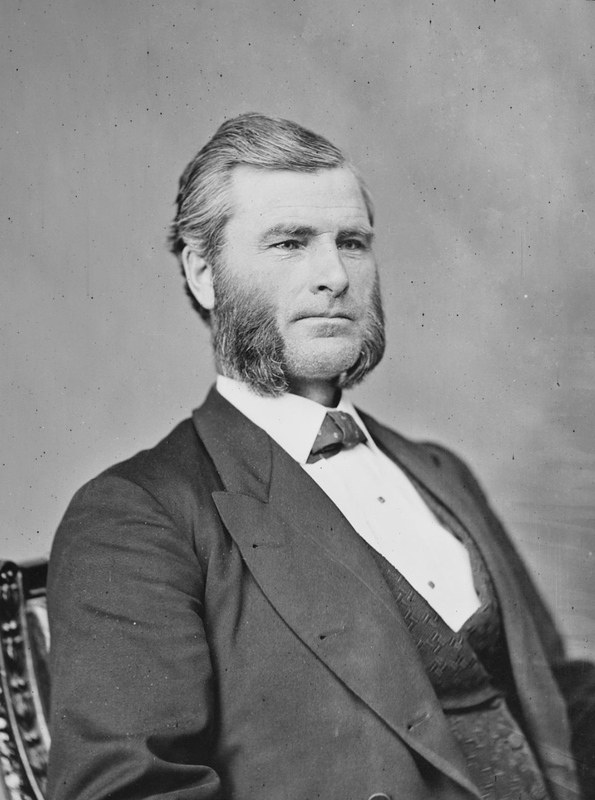 Congressman Nathan Ball Bradley photographed by Mathew Brady. 3. 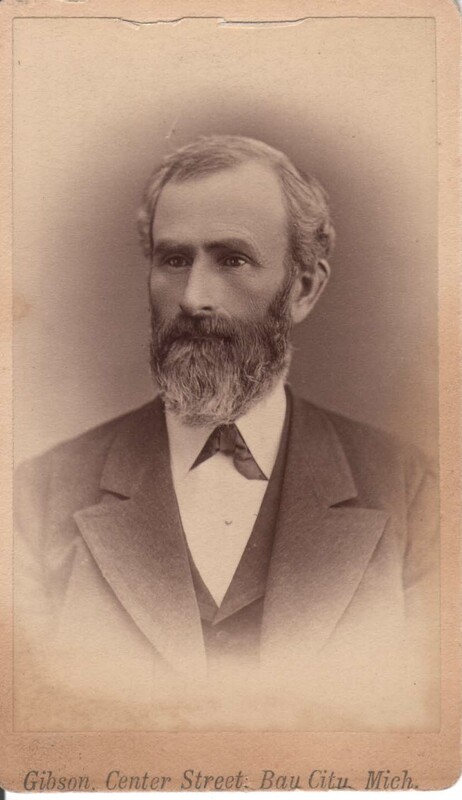 Carte de Visite of Henry Martin Bradley taken in Bay City, Michigan. 4. 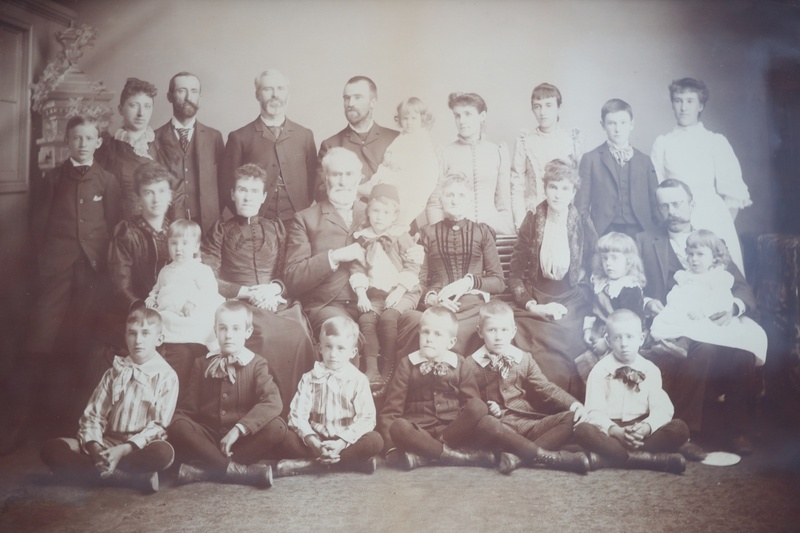 Portrait of 1891 of Henry Martin and Mary Cook Bradley, their five children and spouses, and their 15 grandchildren taken in Chicago; framed print is 14 by 21 inches. I grew up in the Bradley home at the corner of 15th and Garfield. It was a beautiful home with stables, stained glass windows and a 3rd story ballroom. Where does this home fit in the picture of Bradley history? I guess I need to do a little more research.